Photoluminescence is a spectroscopy process used to investigate electrical and optical qualities, such as emission wavelength, crystal structure, and defects in semiconductor materials. A photoluminescence mapper is a laser-based device used to produce maps of various parameters by determining optical luminescence emission from materials energized above their bandgap. 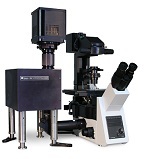 A photoluminescence mapper can also be used for research activities like creating photoluminescence images of nanomaterials. 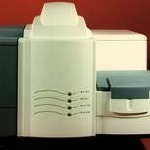 These systems can also be used in conjunction with other analytical devices, like as part of a Raman spectrometer. A typical Photoluminescence Mapper can assess photoluminescence and Raman spectra from deep ultraviolet to the infrared part of the spectrum using a number of detectors. Once submitted, we will try and place you in contact with a suitable Photoluminescence Mapper supplier within 48 hours.